After a career best year where he has picked up gold and silver medals at the Olympics, his first ever Grand Slam title at the US Open and reaching seven finals, Andy Murray has firmly established himself as one of the top players in the world. Despite his ranking of 3, it is easy to make the argument that Murray and Djokovic are comfortably ahead of the rest of the field at the current moment. At the start of the year, he started to work with a new coach – the 8-time Grand Slam winner, Ivan Lendl. It is a partnership that has raised Murray’s game to new levels, both technically and mentally. He has finally managed to overcome the pressure that comes with Grand Slam finals, while his performance in destroying Roger Federer in the Olympic final was one of the most impressive performances by any player for many years. However, the biggest and most important change in his game is his forehand. For many years, the forehand was the real weakness in his game. He used to be very passive on the forehand wing, preferring to simply roll the ball back cross-court, often landing the ball far too short, allowing his opponent to step inside the court and punish it. The repetitive nature of the cross-court shot also meant that his opponent could favour that side of the court, feeling confident that the ball would be coming to that wing. It is the single aspect of his game that Ivan Lendl has focussed on more than any other. They have spent many hours working on improving the shot and giving him more confidence to use it as an attacking option, rather than simply a shot to prolong the rallies. 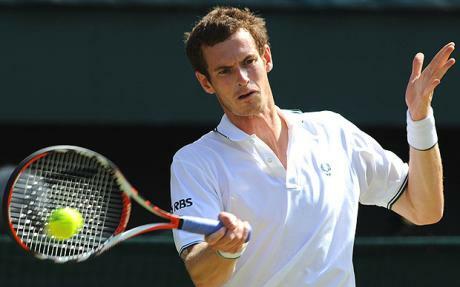 The change in how Murray uses the forehand over the past few months has been stark. He has started to hit the forehand down the line far more and he is hitting the forehand with a lot more power than he used to. The variation that the down the line forehand provides has been crucial. It now means that players cannot simply assume that the ball will be coming back cross-court at them, and means that they have to always move back to the centre of the court after each shot, allowing Murray greater options to move his opponent around the court. He has also started hitting the forehand with more power, turning it into a dangerous attacking weapon. Rather than hitting it with topspin or simply rolling the ball back into play, he has started to flatten out the shot and take the ball on much earlier. On average, he is standing one metre further forward to play his shots in 2012 than he did in 2011, taking away the time for his opponent. 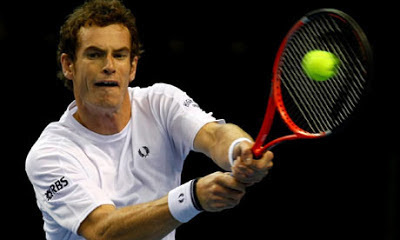 This improvement on the forehand wing has also helped to play to his real strength – the two-handed backhand. Now that he is capable of hitting winners off the forehand wing, players become more wary of always hitting to his forehand, instead trying to mix it up a bit more. This simply means that he receives more opportunities to unleash on his backhand side. The work that he has done this year has elevated him to the next level. There are undoubtedly still areas to work on, but he is developing a game that has very few weaknesses. The next area to work on is his second serve, where he still loses too many simple points. Looking at the statistics for this year, the top three players in terms of points won on second serve are Roger Federer, Rafael Nadal and Novak Djokovic – it is clear from this that it is a crucial area to succeed at. Andy Murray languishes in 12th on this list – if he can boost this area of his game, it will be very difficult for any player to beat him. Ivan Lendl is clearly aware of the areas that need work. He identified the forehand and worked hard to solve the problem, turning a weakness into a new strength. 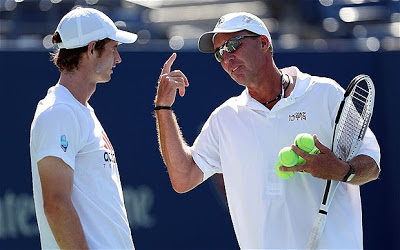 If Murray and Lendl can continue the progress that they have made in 2012, it would be no surprise to see Andy Murray finish 2013 as the world number 1.